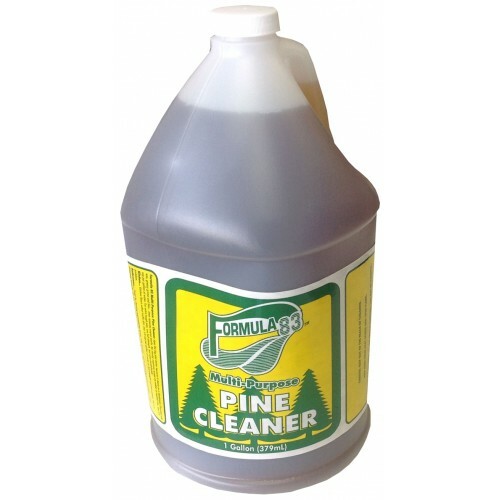 Formula 83 Multi-Purpose Pine Cleaner does the big jobs better because it cleans as a deodorant. Dissolves old wax, greasy grime and film... even removes crayon marks. No rinsing required, except on rubber or asphalt tile. Use 1/4 cup per gallon of water. For extra tough jobs, use full strength, but rinse immediately.